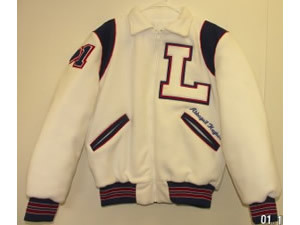 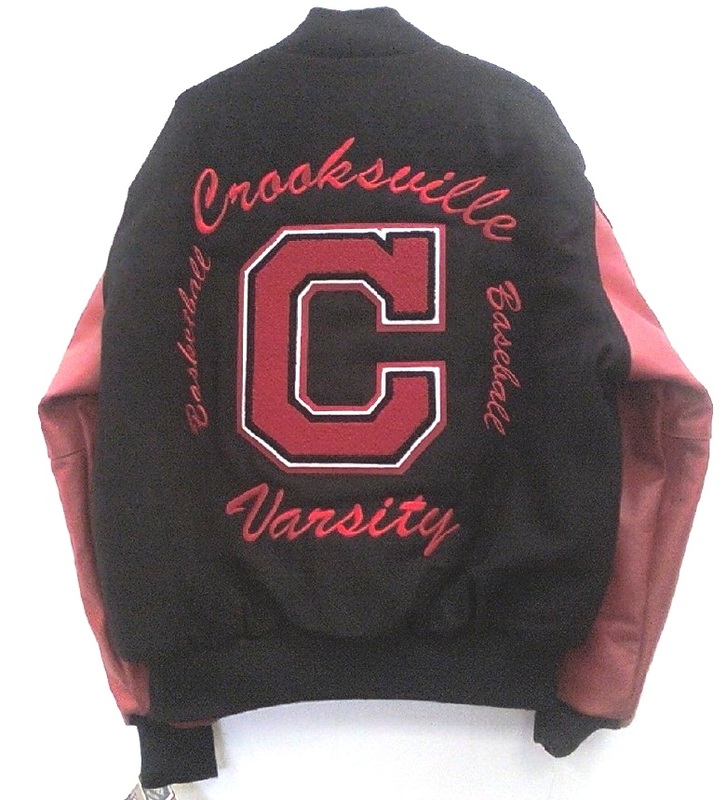 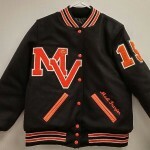 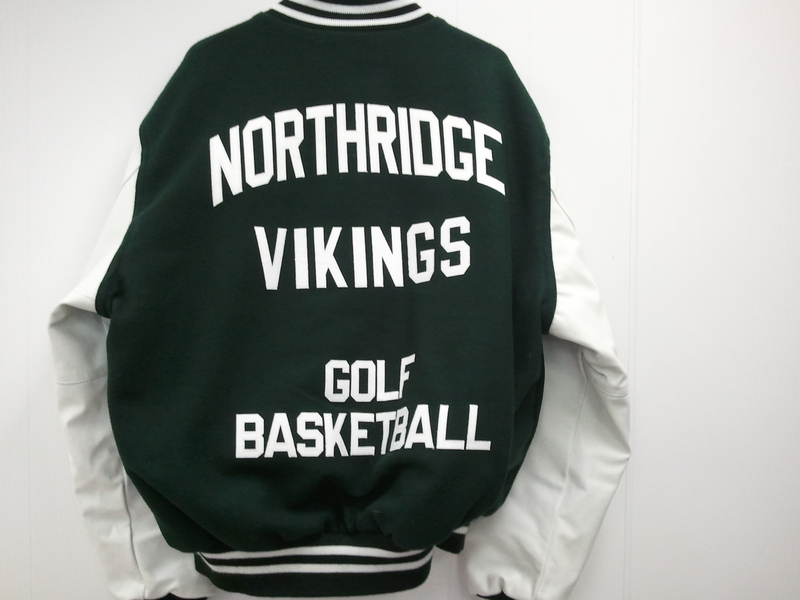 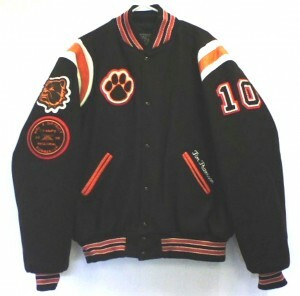 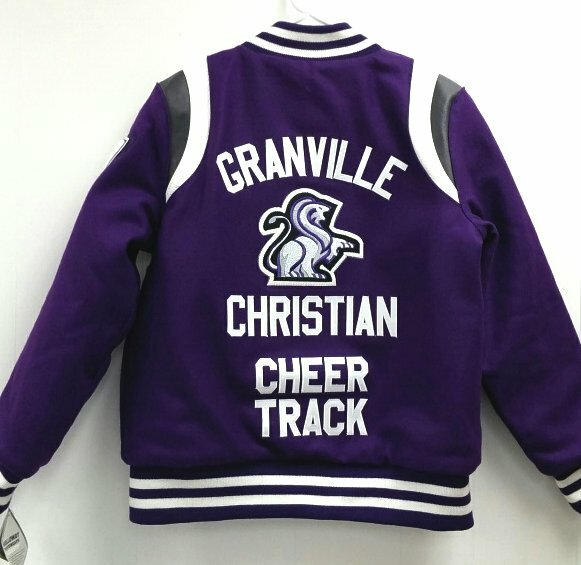 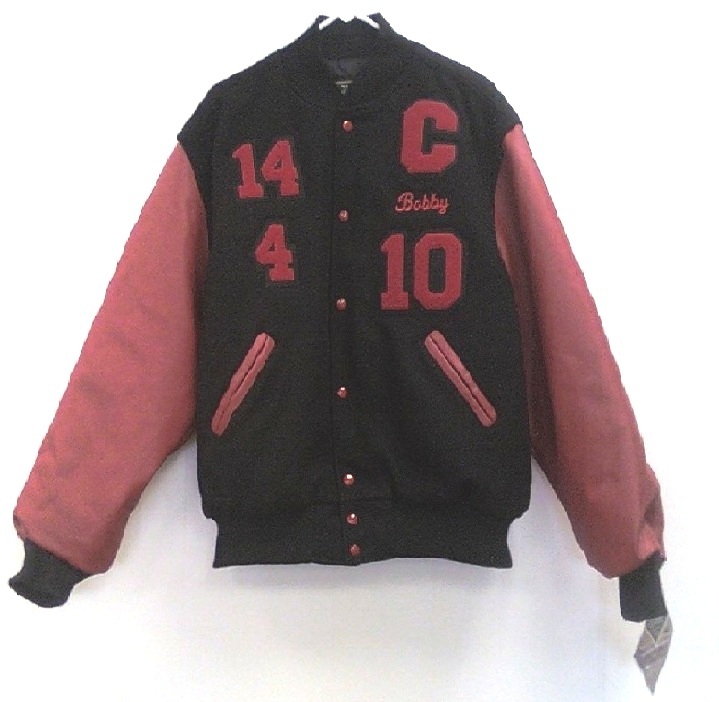 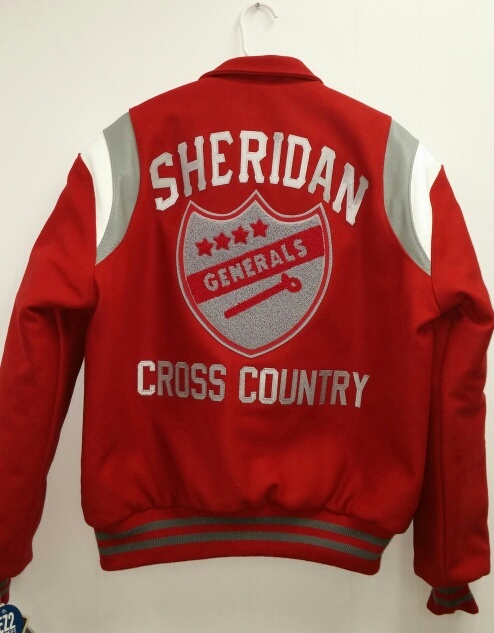 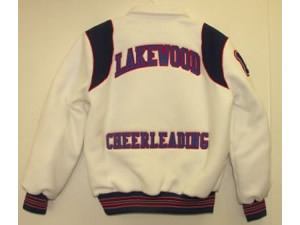 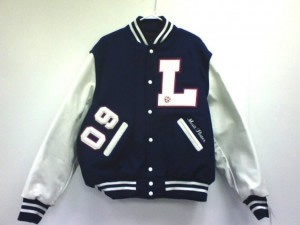 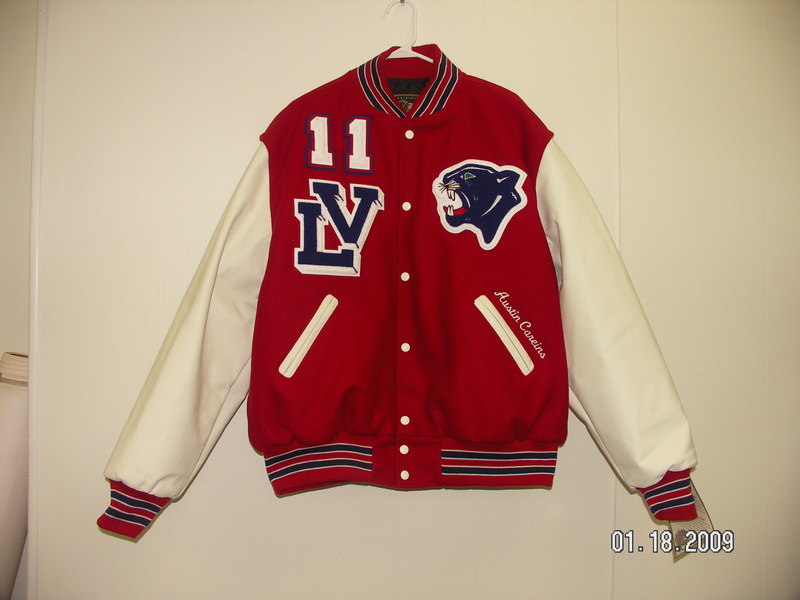 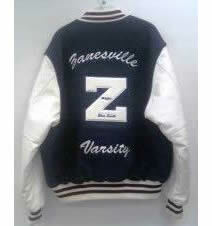 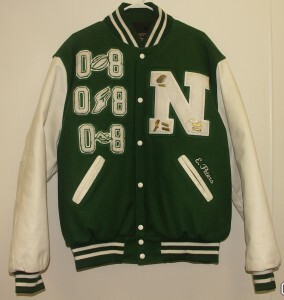 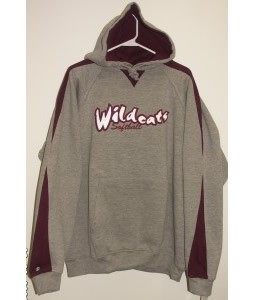 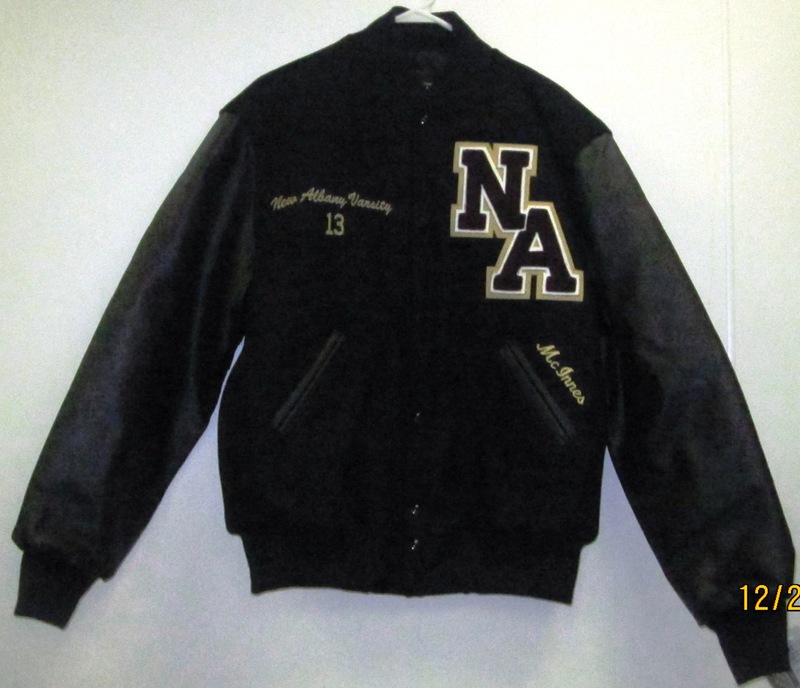 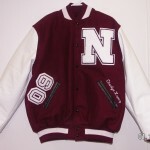 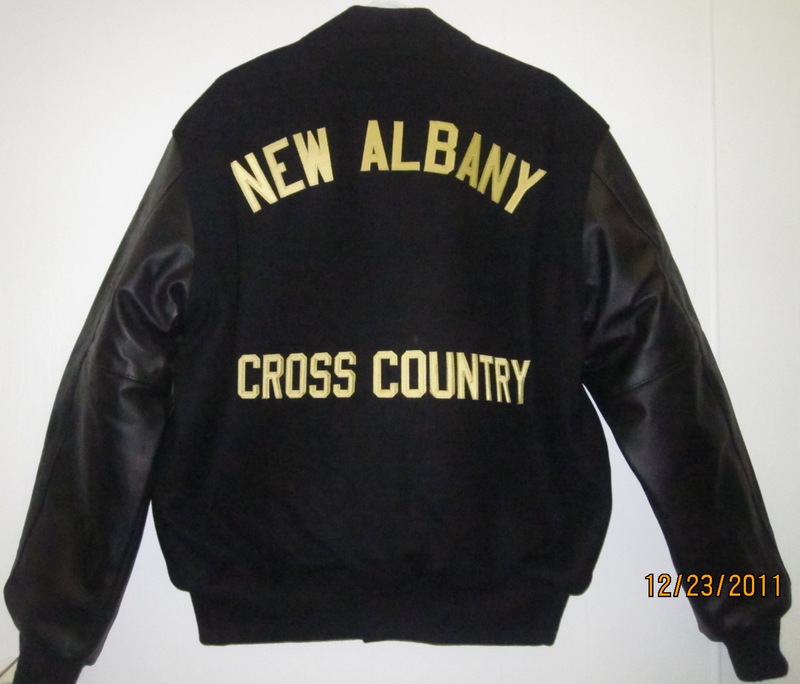 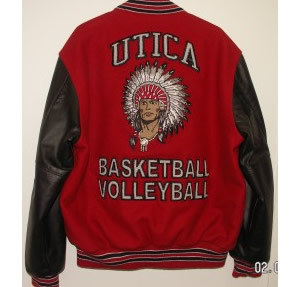 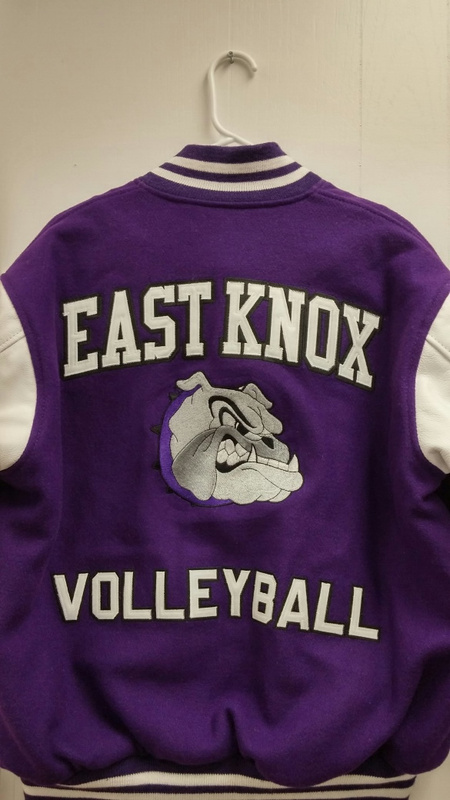 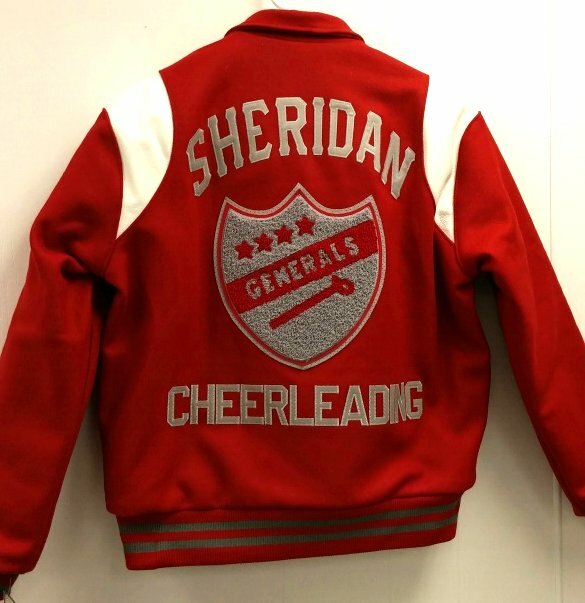 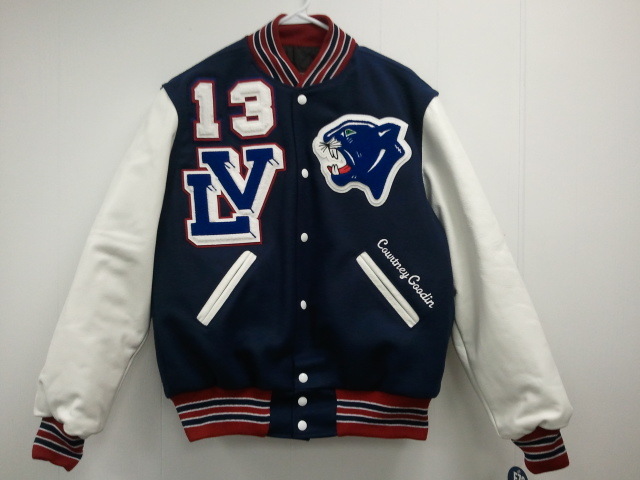 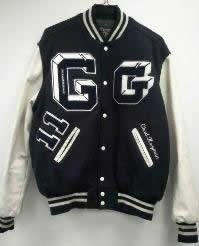 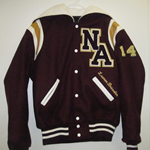 All-Star Embroidery, Ltd. Is Your Varsity Jacket Headquarters! 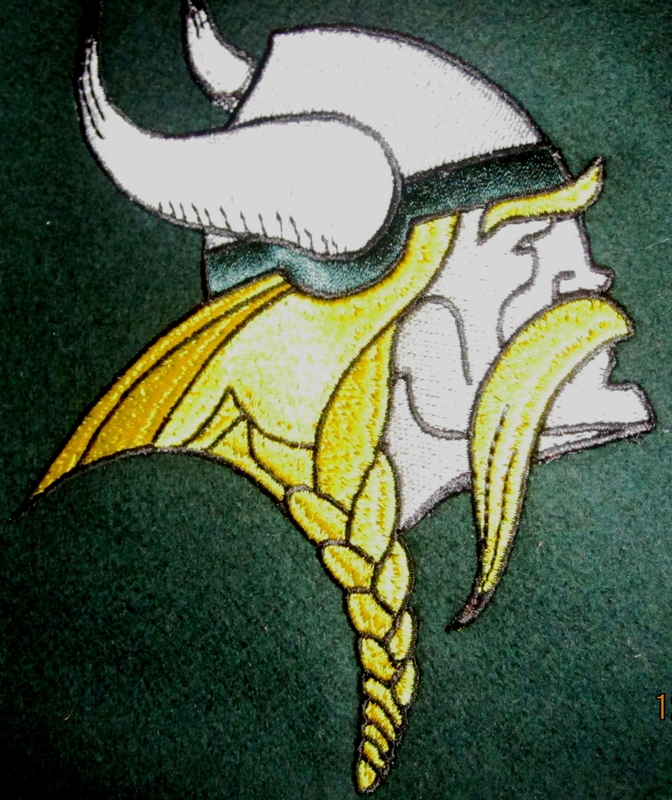 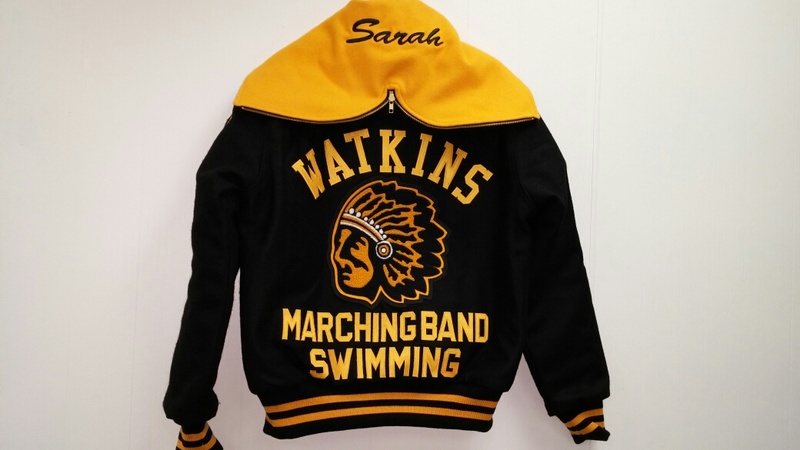 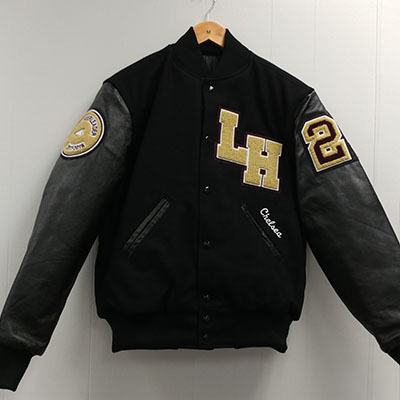 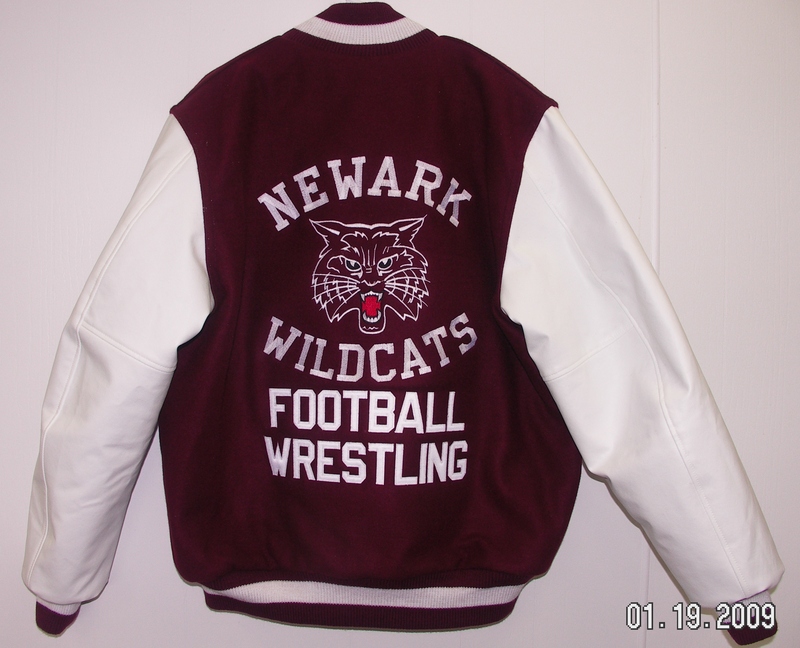 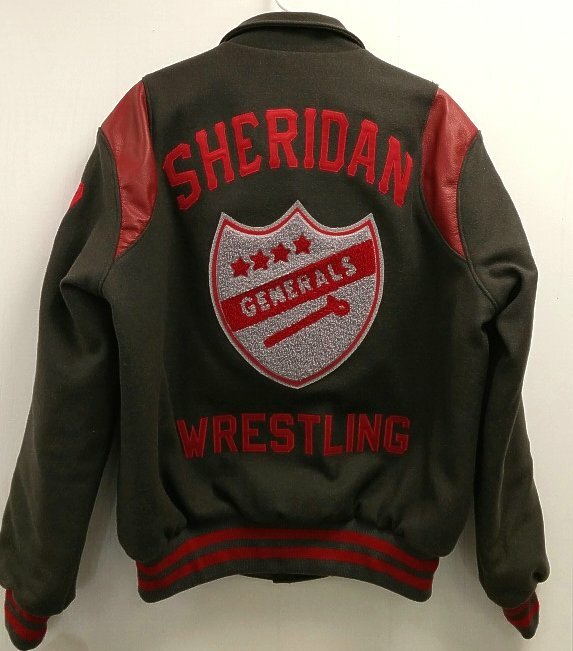 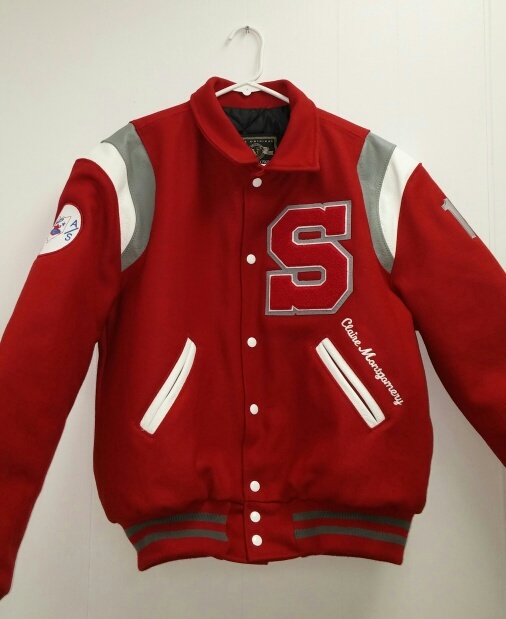 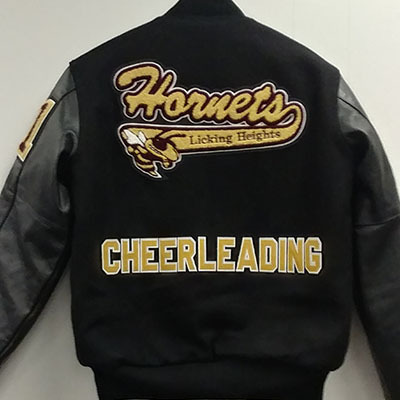 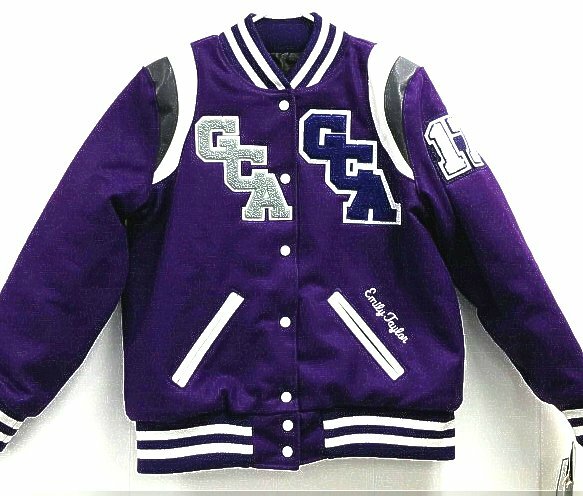 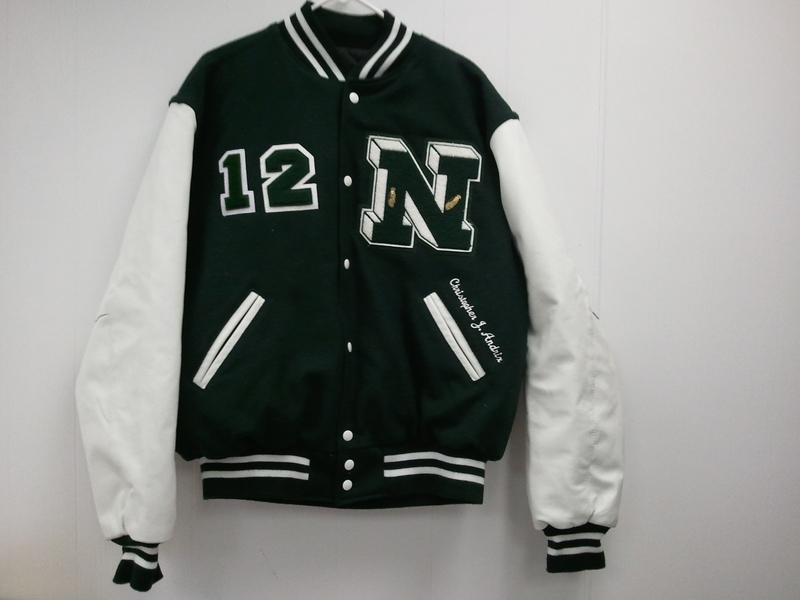 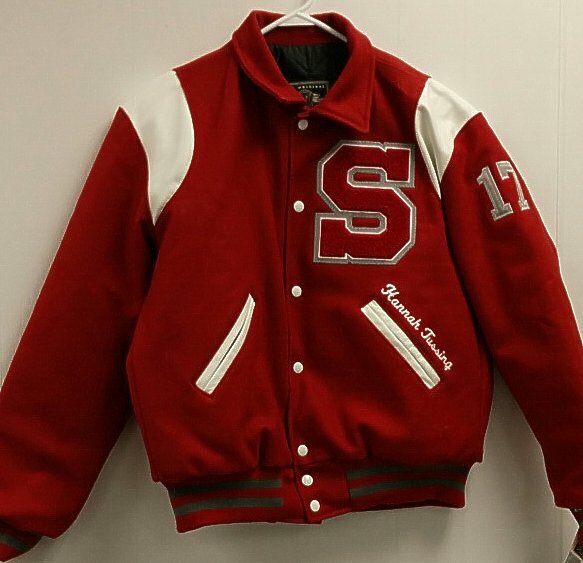 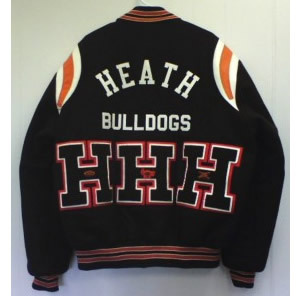 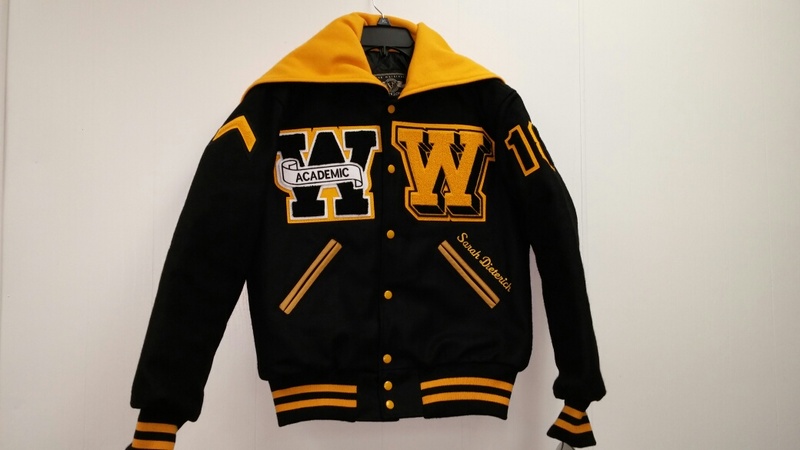 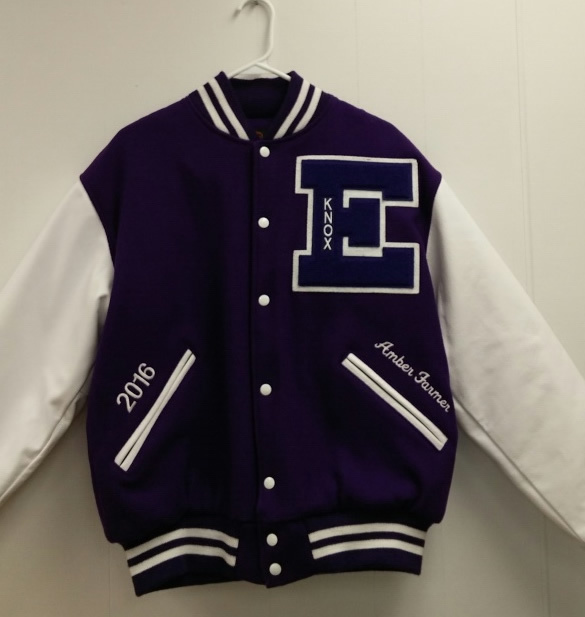 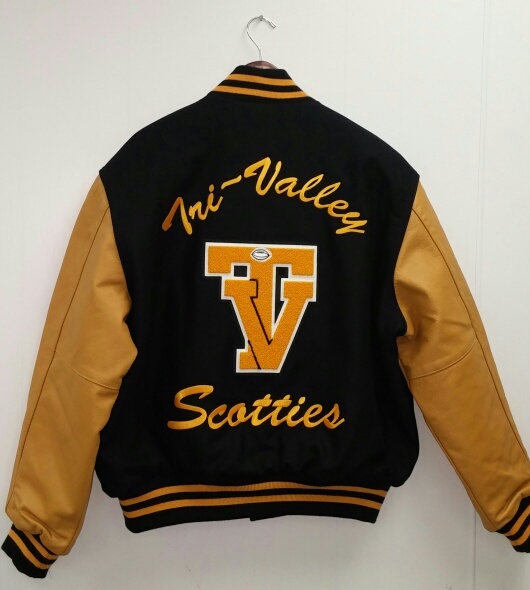 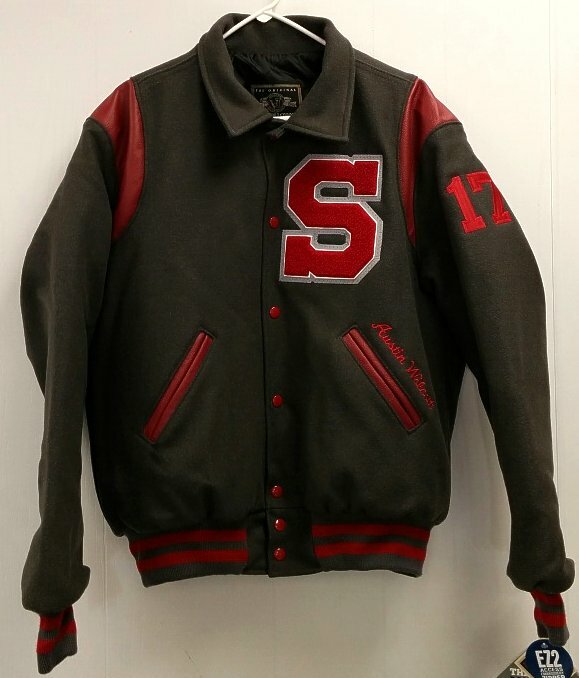 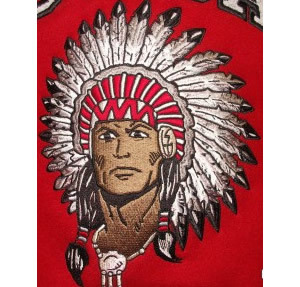 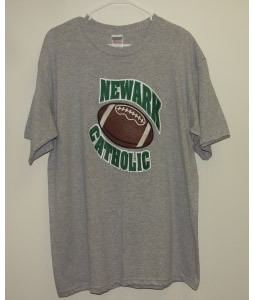 We do everything from stitching your varsity letters, numerals, and patches and embroidering your name on your jacket, to the tackle twill custom work on the jacket back. 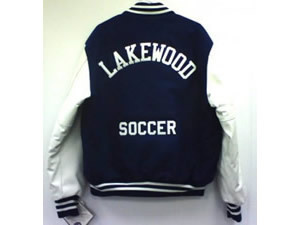 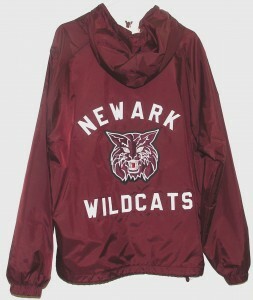 We can now order ladies-style jackets as well. 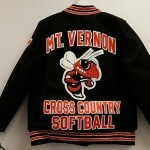 The ladies-style jackets are straighter, more form fitting, not as full, and hit below the natural waist. 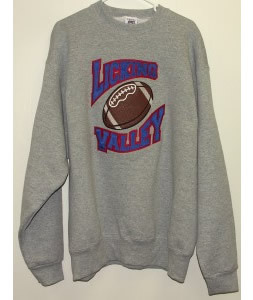 See Licking Valley’s girl style. 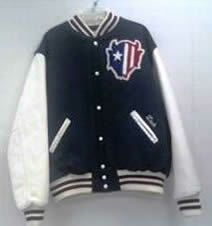 Call for details on the ladies jacket. 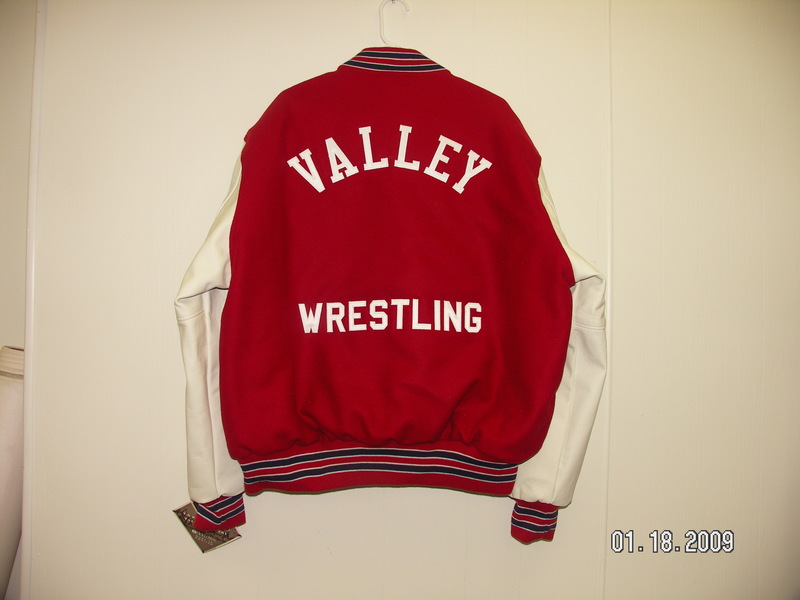 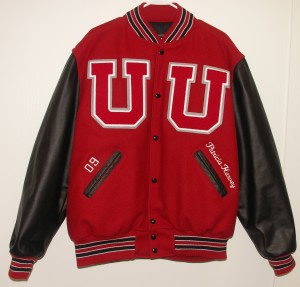 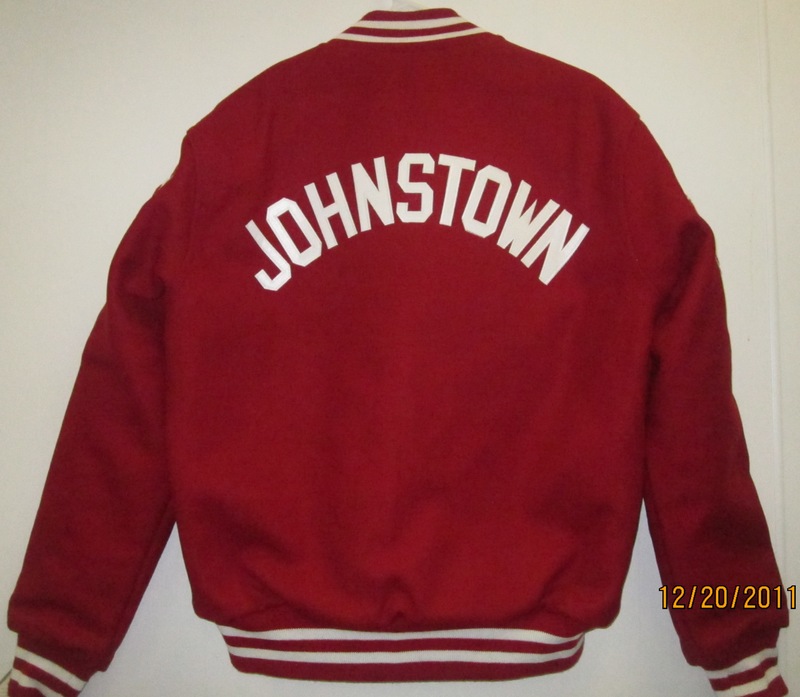 Custom Fleece Varsity Jacket with Wool Shoulder Inserts and Wool Pocket Welts with Red Cording. 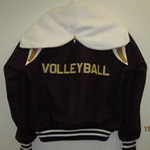 Cuffs and bottom band are knit trim.